Located within the Oropesa del Mar's spectacular Marina d'Or complex, Apartmentos El Cano is a beachfront ten-storey property directly facing the Mediterranean Sea. Marina d'Or is home to the largest seawater spa in Europe, multiple restaurants, swimming pools and tennis. Guests can enjoy boating and fishing nearby, in between lounging by the pool or working out in the health club. A supervised children's program is available, and the theme park nearby will keep the younger ones smiling. 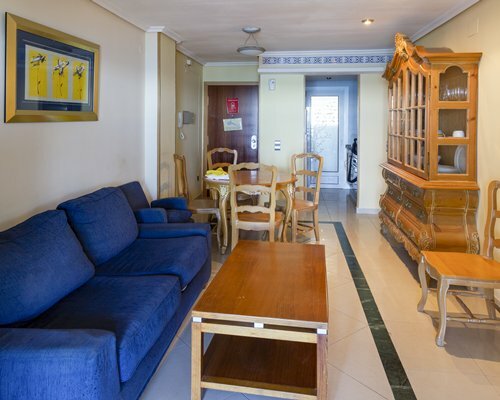 The two-bedroom units at Apartmentos El Cano are comfortably furnished and feature fully equipped kitchens and dining areas, making it easy for guests to cook and serve meals prepared with the region's plentiful seafood. Many have attractive glass-front armoires and chandeliers. Spacious furnished balconies with spectacular views of the Mediterranean are an added feature in many units. Units accommodate up to six guests in air-conditioned comfort. All have telephones and washer/dryers. Perched on the Costa Azahar on the sunny shores of the Mediterranean, the charming Spanish resort destination of Oropesa del Mar draws visitors who appreciate golden sand beaches, beautiful mountain roads and dramatic scenery. Visitors to this area enjoy sightseeing in the nearby towns of Peñíscola, Castelló de la Plana and València, all rich in history and culture. Water sports abound, including diving around the Colubrete Islands just offshore. BY AIR: Valencia - 79km BY CAR: From the airport take the A7/AP7 to Barcelona and take the exit at Oropesa. Follow all signs to Oropesa Centro, cross a subway and continue on this road which takes you to the sea side. Turn left following the road which is parallel to the beach. 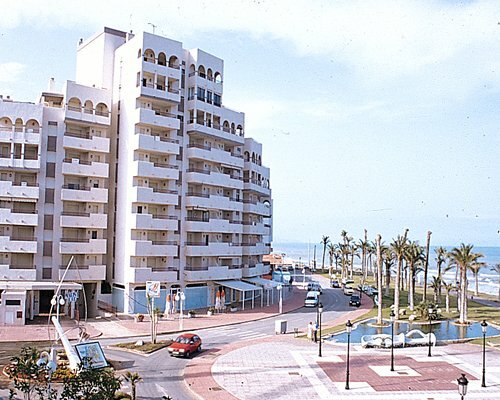 1km away, you will find "La Ciudad de Vacaciones Marina D`Or",continue along this street (again still parallel to the beach) and after 400 metres you will find the reception of the resort.